Corey Patterson missed this conversion by one year. Definitely and to a lesser degree even Vitters (if the hand eye coordination stuff was true). I think Vitters busts no matter what. This Cubs FO had the chance to work with him and see if they could unlock some hidden potential. I mean Vitters is struggling in Independent League baseball so I think his skills eroded and that no one could fix him/properly develop him. I think if Theo and Jed were here for the 2007 MLB draft I have zero doubt in my mind we avoid Vitters and take Matt Wieters. Wednesday. He’s had a few bad starts in a row though. I assume they’ll go with Montgomery. Oh yeah I’d assume Monty gets the 1-2 starts if that all it hopefully is. But if it’s longer I wouldn’t mind giving Alzolay a chance come middle of June. He will be an interesting one to follow. Usually guys with his mediocre stuff induce alot of groundballs to maintain good results. Thompson throws very few of them. Two Cubs made BA’s 2017 DSL top 20 prospects - Fernando Kelli and Christopher Morel. The list was in alphabetical order. Can you post their writeups? Instead, the right-hander relied heavily on a sinker. His velocity was usually in the low 90s and would creep into the mid-90s every now and then during his first season of games with the Cubs in 2017. But after the Cubs sent him to Class-A advanced Myrtle Beach to start this season, they started seeing a change in Peyton’s velocity. TomtheBombadil wrote: Can you post their writeups? Age: 19. B-T: B-R. Ht. : 6-0. Wt. : 180. Signed: Dominican Republic, 2016. Kelli signed with the Cubs for $60,000 in January 2016, but he struggled during the 2016 season in his first run through the DSL. In 2017, Kelli fared much better, winning the DSL MVP award. Kelli is a premium athlete with ample quick-twitch and explosion. He’s a 70 runner with a quick burst in his first step, with his 58 stolen bases by far the most in the league (the next closest player stole 35 bases). Kelli’s speed translates into good range in center field and he used his slightly above-average arm effectively to lead the league with 13 outfield assists. Kelli has quick, strong hands and a sound swing, which helps him handle premium velocity effectively. While Kelli got himself into trouble in 2016 with a free-swinging approach, he became a more selective hitter in 2017, an adjustment that helped fuel his breakthrough. Kelli has a lively, athletic frame, but he isn’t that physical and doesn’t project to be a major power threat. He could hit 8-12 home runs with a bunch of doubles and triples. Age: 18. B-T: R-R. Ht. : 6-0. Wt. : 160. Signed: Dominican Republic, 2015. The rest of the players on this list check off boxes on both performance and tools. Morel’s resume lacks high-end performance, but he has promising projection at a premium position. When the Cubs went over their international bonus pool in 2015, Morel was one of their top acquisitions, signing for $800,000. Instead of playing in 2016, Morel missed the entire season after an off-field accident where he sliced one of the tendons close to his wrist in a broken glass door, an injury that required him to fly quickly to Chicago for surgery. Morel returned to the field last year and stood out defensively. He’s a plus runner with a plus arm, with all the actions and instincts to stick at the position. While Morel hit just .220 last year with a pull-heavy approach, he showed a good sense of the strike zone and power, with the lift in his swing to get to that power in games. Since the season ended, Morel has shown signs of trending in the right direction at the plate, performing well against older pitches. He speed makes him a basestealing threat, although he’s still learning how to pick his spots more effectively. Thanks, Raisin. Both guys could potentially be on a very young Eugene squad this summer too. Amaya makes the BA Hot Sheet this week. Jhonny Pereda and Cory Abbott were named the May Minor League Player and Pitcher of the Month. He was just coming off his most recent suspension. 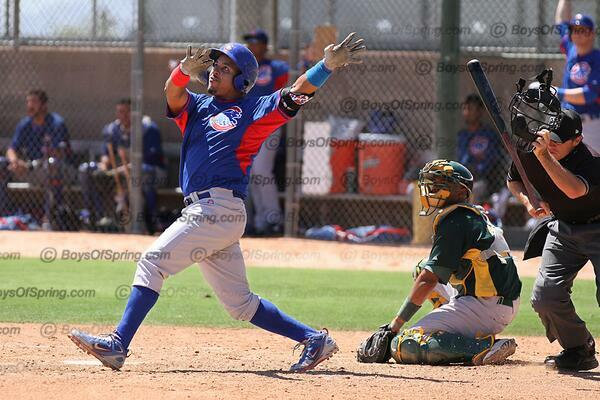 Yeesh.
. Miguel Amaya, C, Chicago Cubs (Low-A): One scout said he’s the best player in the Midwest League. Another said he’s one of the five best catching prospects in baseball. For an organization in need of a talent infusion, Amaya and Jhonny Pereda, his High-A counterpart, provide a big boost. Amaya’s defense is superlative, and after a couple years of struggles with the bat, his power has unlocked this year. For a kid young enough to have braces – he’s 19 – that’s a very, very good sign. I think he's already the org's #1 prospect but if he's going to be around a .900 OPS all season with his defensive reputation and age related to league, he's on his way to being a top 50 prospect in baseball. Maybe top 25. Yeah, I think that if he keeps this up he will be will compare pretty favorable to Francisco Mejia at a similar point in his development. That's an elite guy. I would say that we have a pretty clear top 3 of Amaya/Alzolay/Lange. After that I think is where you can go in different directions. I'd actually compare him favorably to the Dodgers' Keibert Ruiz at this time last year since he split his time between both A-ball levels at age 19 last year. What kind of arm does Amaya have? does he throw out a lot of guys? Pop times? 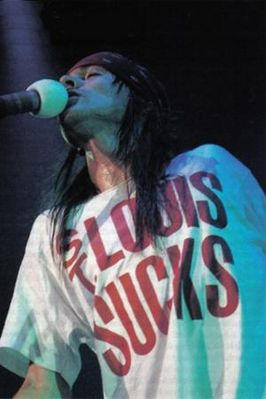 Yeah, me too. I've been on the Amaya bandwagon for a while. I'm happy, but we need to pump the brakes a little bit. His bat isn't that advanced (compared to the rest of his game). He is very advanced defensively and I have no doubts about his play behind the plate. Definitely the #1 prospect in the system for me. I remember Brett at BN had a nice writeup on Amaya a year or two ago and I've kept an eye on him since. Glad to see his raking. What are the thoughts on Ademan now? He's struggling at the plate but still has loads of potential and is young for the level, right?